Beautiful, elegant men's set hat and scarf were knitted real men's patterns. 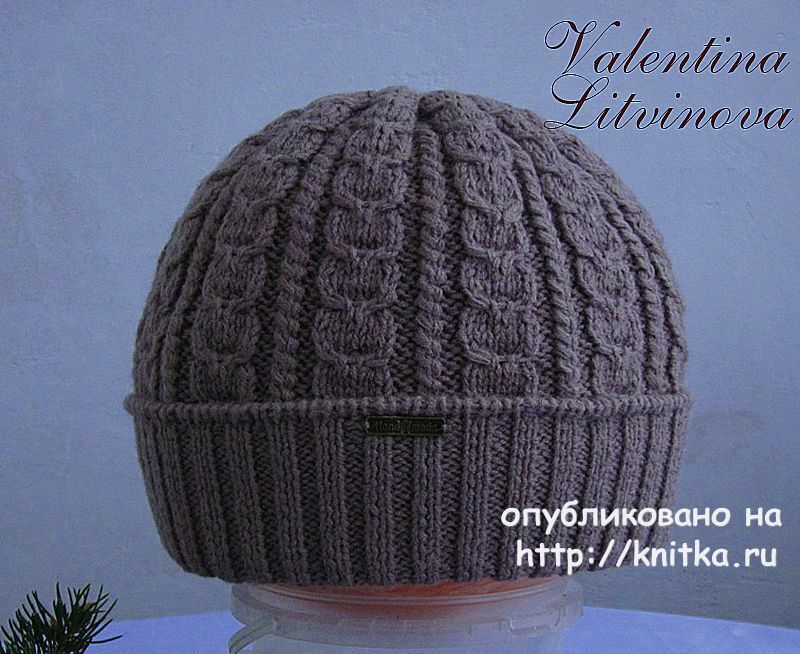 The yarn is 50% wool + 50% acrylic ( 100 gr. 250 m) . Cap double with double cuff, inner part is the front surface . 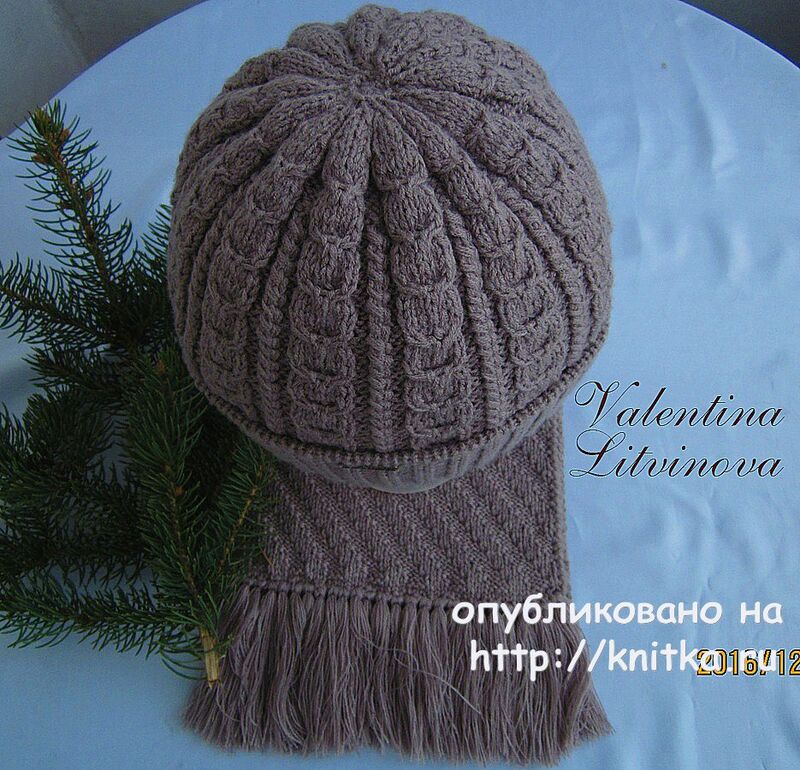 Very warm – can be worn in any frost. Size 56 – 59. Yarn consumption 125 gr. Knitting needles No. 2 and No. 3. 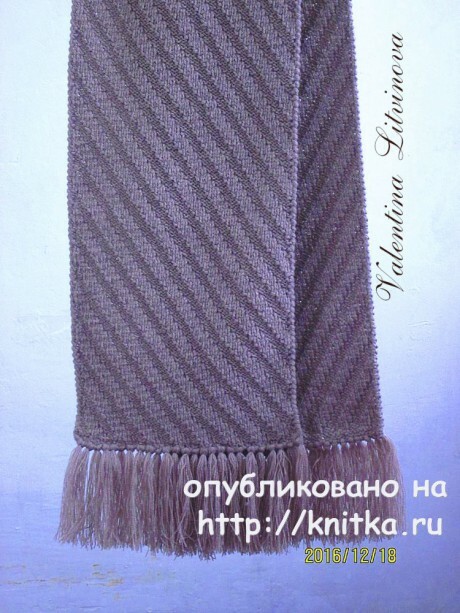 A showy scarf tied bilateral pattern “rubber Oblique”. Accented with fringe. The pattern makes a scarf voluminous and elastic. Looks perfect in any setting . Length 185 cm, width 20 cm yarn Consumption 235 g. Knitting needles No. 3. Knit warm clothes for their children, husbands. This is a wonderful and inexpensive gift. Knitting dial the number of loops multiple of 3, 2 pole edge. 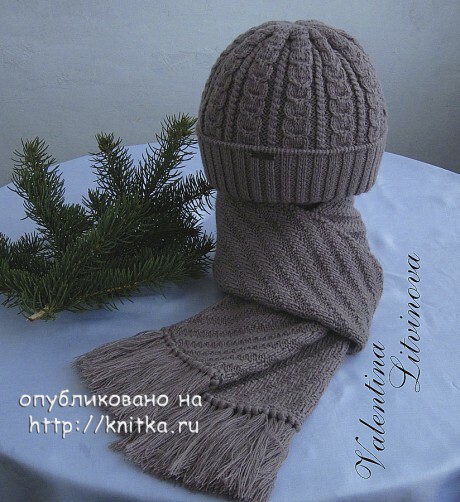 Begin knitting the pattern "rubber oblique". in the 2nd row and all even - knit pattern pattern (front - on facial loops, purl over purl loops. in 13th row: repeat 1st row. *-* - rapport of the pattern, the pattern which should be rhythmically repeated in each row.